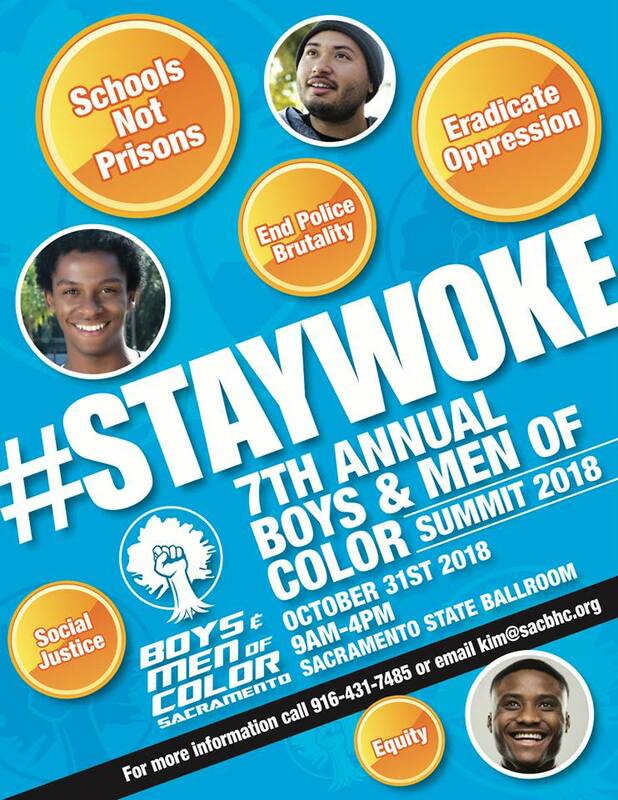 On October 31st the Sacramento BHC is hosting their 7th annual Boys and Men of Color (BMoC) Sacramento Summit. This event will take place at the Sacramento State University Ballroom starting early in the day at 9:00 AM at last until 4:00 PM. With the upcoming midterm elections, it’s important for young people to come together at events such as the BMoC. Participants are being encouraged to use the hashtag #staywoke during this event and to speak on issues such as social justice, police brutality, and “schools not prisons”. In California, with help from the California Endowment, student suspensions have been steadily decreasing with numbers as high as 400,000 fewer suspensions annually. Events like this help spread accurate information and provide forms of action for people to take part in, especially for youth. 11 other states in the U.S. have passed laws that help aid in the fight against the school to prison pipeline, following California’s lead. The Sacramento BHC hopes to continue the momentum and spread more awareness about issues surrounding youth all while including the young people in the process. To learn more about this event and how it helps the surrounding community of Sacramento please visit HERE.